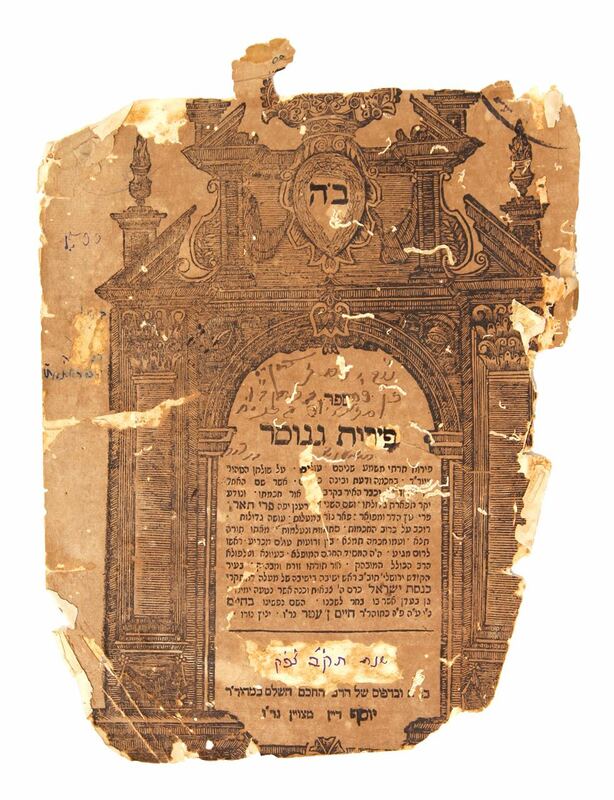 Book by Rabbi Haim ben Atar, the Ohr HaHayyim. Printed during his lifetime. He lived 1696-1743, was a great commentator on the Mikrah during the Achronim, a kabbalist and posek halacha. The Ba’al Shem Tov said that he heard Torah directly from G-d every night. So his books are considered holy texts of the highest order among Chassidim, and they are considered to be a segula. | Partially repaired. Upper and lower portions are missing. 23x18cm. page. Generally ok condition.